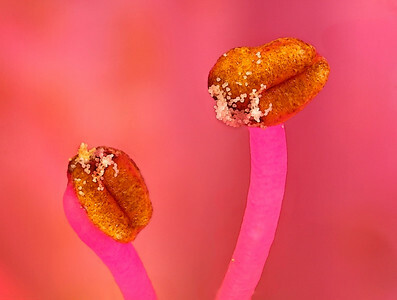 Stamen of rhododendron, to obtain a larger sharpness area focusstacking using 14 photos has been applied. Each photo has been made with magnification factor 4 and f/11. 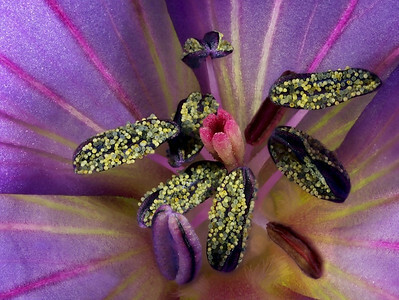 Stamen and stigma Geranium Orion, to obtain a larger sharpness area focusstacking using 20 photo's has been applied. Each photo has been made with magnification factor 2 and f/16. 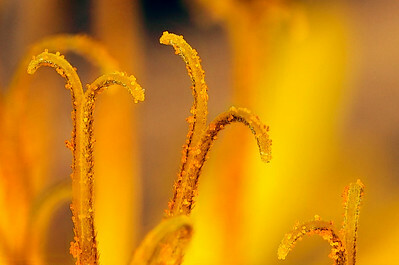 Stamen of dandelion, made with magnification factor 4 and f/11. 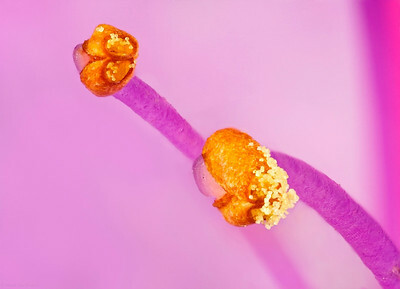 Stamen azalia, to obtain a larger sharpness area focusstacking using 54 photos has been applied. Each photo has been made with magnification factor 4 and f/11.